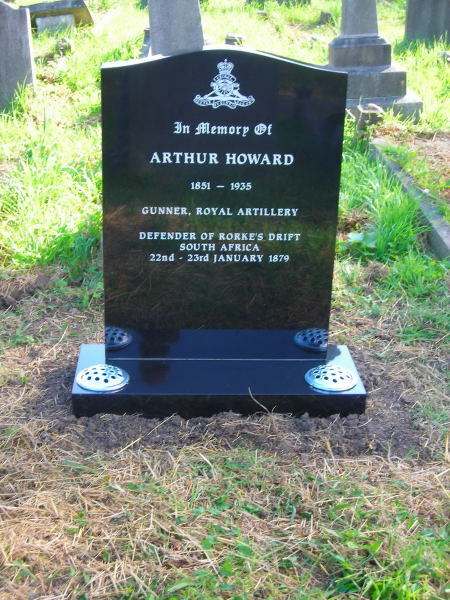 On Sunday 16th September, there will be a dedication of memorial to Gunner Arthur Howard at Brockley Cemetery. The event will take place from approximately 11:30am to 12:15pm. The initiative to fund the headstone was that of Corporal Bugler Tim Needham, Royal Marines, who started a campaign to have the defenders of Rorke's Drift memorialised. 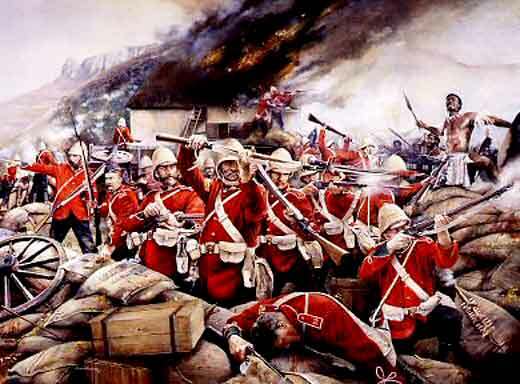 Gunner Howard was a hero of Rorke's Drift, where in 1879, a mere 150 British troops held off 4,000 Zulu warriors in Natal, South Africa. More soldiers were given the Victoria Cross - 11 in total - than for any other battle in British history. Arthur Howard was born in Eynesford, Kent in 1851. During his time in the Royal Artillery, he was based for several years at Woolwich. He was married, and had a daughter. 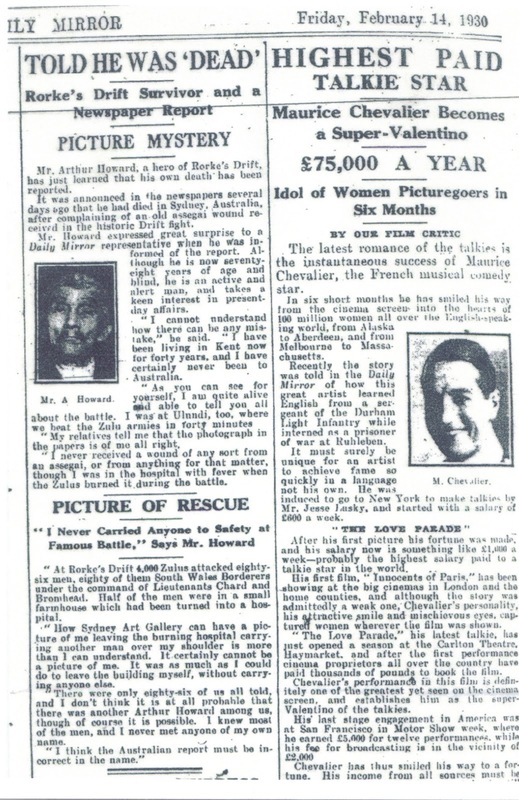 He survived to reach the ripe old age of 84, dying in Deptford in 1935, though he did get to read of his own death resulting fom complication as a result of wound by Assegai spear incurred in the battle, a false report that he was glad to put right in this interview with the Daily Mirror in 1930.